Welcome Center PAWSH, 635 W. Roger Rd. 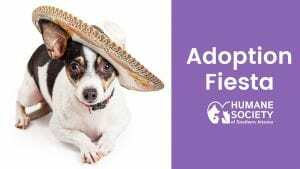 Join us for an Adoption Fiesta at HSSA Main Campus! On Saturday, May 4th and Sunday, May 5th ALL adoption fees for pets over 6 months of age will be $25 OFF! *Adoption discount only valid at HSSA Main Campus at 635 W. Roger Rd. Come meet our available dogs at Pups in the Plaza! 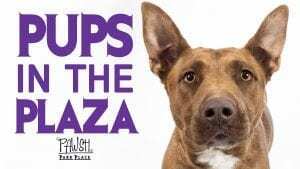 PAWSH Park Place's adoptable dogs will be located outside of the Victoria's Secret Store from 10am until 2pm. Enjoy 25% off ALL PAWSH merchandise with your adoption!